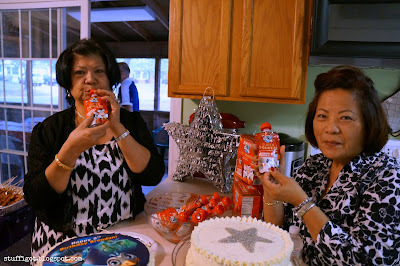 DISCLOSURE: I received free products from Moms Meet to facilitate this post. All opinions are my own. My kids love squeezable pouches. We buy them every single time we go shopping for groceries. We're also fans of Horizon Organic. We buy their milk, the single serve milk boxes, and the half and half. 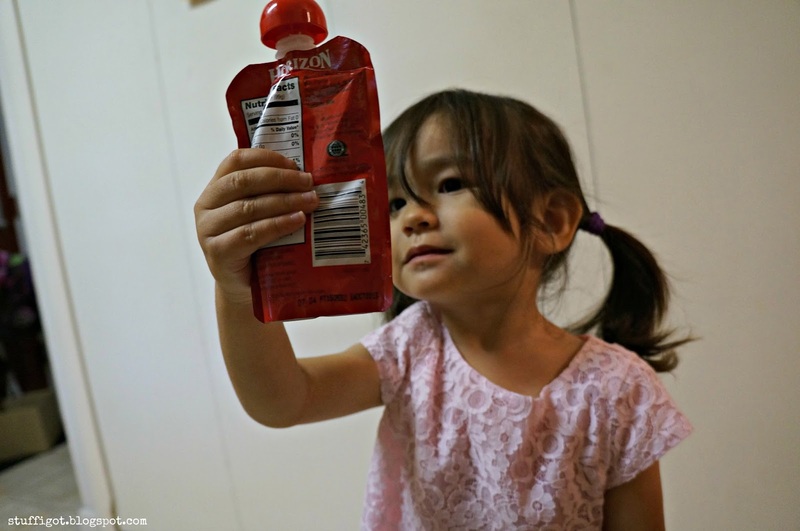 When I heard they now offer squeezable pouches, I knew we had to try them out! 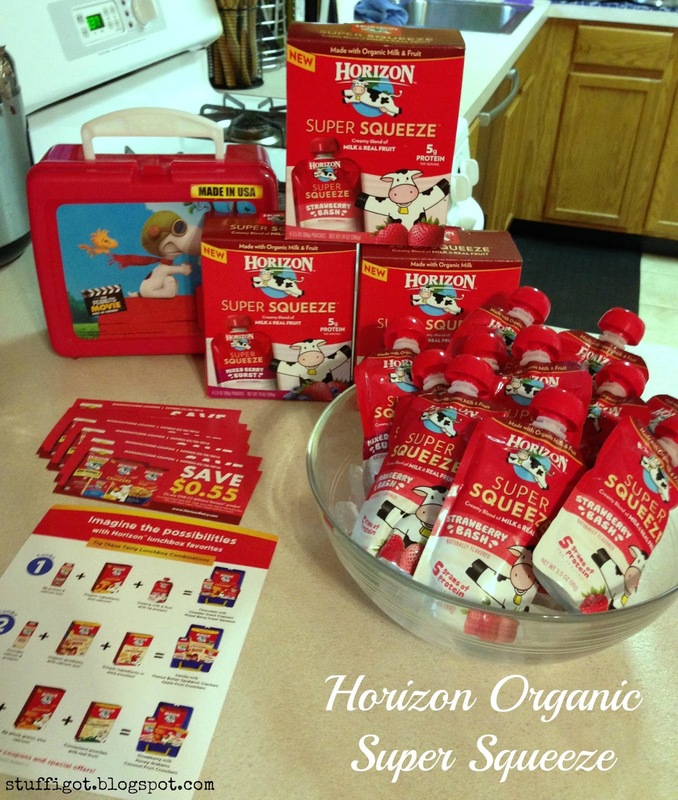 I was sent samples of Horizon Organic Super Squeeze by Moms Meet to share with my friends and family. I decided to serve them during my son's 5th birthday party. When the samples arrived, my husband had said he had actually bought these before because he thought the kids might like them. But, we had stored them in the cupboard and served them at room temperature. Horizon Super Squeeze are best served chilled. No one at the party had heard of Horizon Super Squeeze, though many of them were regular buyers of Horizon Organic Milk. A couple of Moms at the party expressed interest and were looking for something to pack in their kids' school lunches. Horizon Super Squeeze are best served chilled. 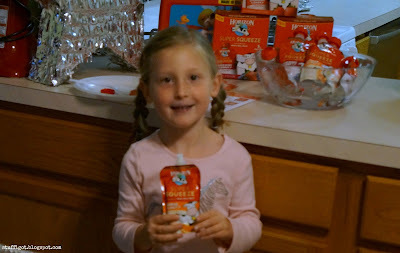 My daughter was one of the first to try out the Super Squeeze. She called them applesauce pouches. I asked her to hold it up for me to see. Of my four kids, my youngest was the one who liked them the best. 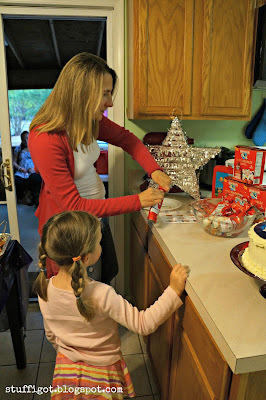 She had two during the party and each day since the party, she's been asking for one. My nephew tried the Mixed Berry flavor but found it to be too tart for him. He was scared to try out the other flavors. 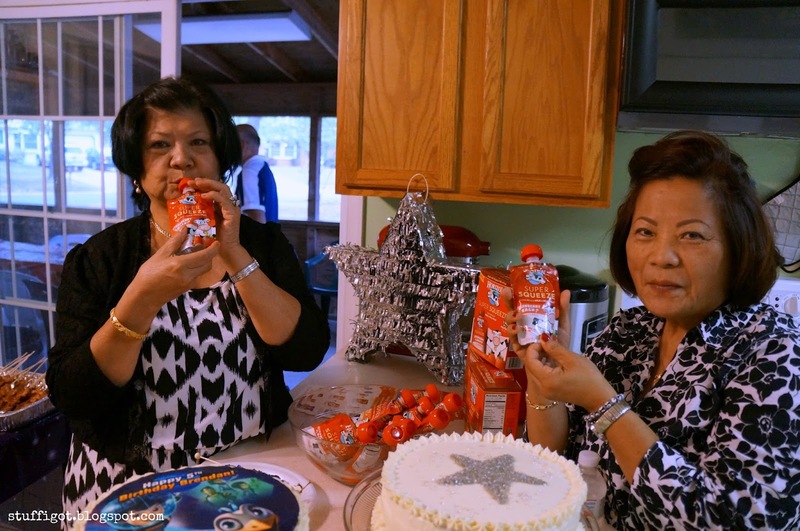 My Mom and Aunt gave them a try, too. My Mom thought it was good. My one sister also tried a sip but thought it was too sweet. My sister-in-law had her daughter try it, since she had just started Pre-K this school year and were looking for new things to pack in her lunch. 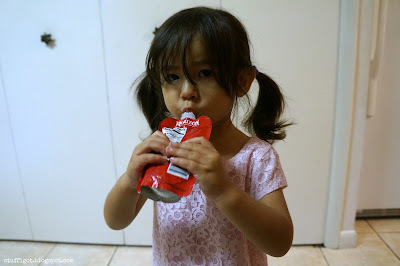 My niece tried the Strawberry flavor at first, but didn't like it. So, my sister-in-law ate it. She thought it was fine. My niece then tried the Orange flavor and liked that much better. 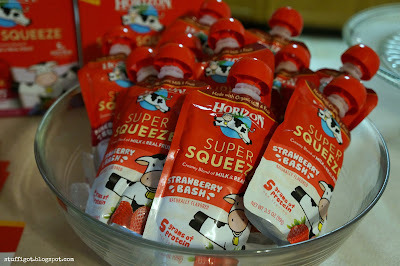 Overall, everyone liked the Horizon Super Squeeze pouches. I found them to be like drinking a yogurt smoothie or one of the yogurts that come in tubes. Just not as thick. My boys didn't really like it. It's great that it comes in a pouch, making it easy to take on-the-go. But, it is better tasting cold. So you'd have to pack it in a cooler if you're not planning on eating it right away. Horizon Super Squeeze is available to purchase in grocery stores, mass merchandisers and natural food stores. It can also be purchased from online retailers. They retail for $4.99 for a 4-pack.